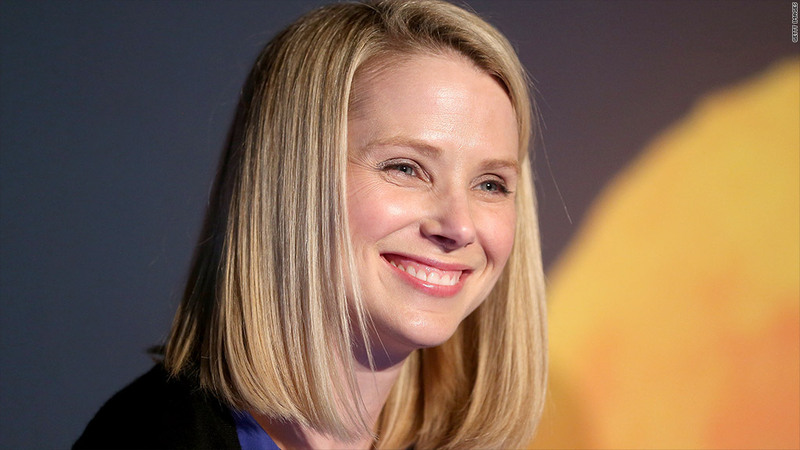 Yahoo CEO Marissa Mayer is raising money for the Aspire East Palo Alto Charter School. If you'd like to have lunch with Yahoo CEO Marissa Mayer, it will cost you at least $42,000. Following in the footsteps of Warren Buffett, Mayer will have lunch with a winning bidder to raise money for charity. Bidding site Charitybuzz is running the Mayer lunch auction, which received a bid of $41,500 shortly after it was posted on Tuesday. The one-hour lunch with Mayer will be held at Yahoo's Sunnyvale, Calif., headquarters. And yes, the winning bidder will be allowed to take photos. Mayer's charity of choice is the Aspire East Palo Alto Charter School, a high-poverty California school. The charity will receive 80% of the winning bid after Charitybuzz takes its 20% cut, the site's CEO Coppy Holzman told CNNMoney. The auction will end June 27. Famed investor Warren Buffett started the trend when he began auctioning charity lunches in 1999. This year's Buffett lunch winner bid just over $1 million, well below 2012's record of $3.5 million. Charitybuzz has auctioned similar experiences with celebrities like Jay-Z, Oprah and Gwyneth Paltrow, as well as business bigwigs like Virgin CEO Richard Branson and Tesla (TSLA) CEO Elon Musk. By far the biggest Charitybuzz bid came in May, when an anonymous bidder paid $610,000 to win a coffee chat with Apple (AAPL) CEO Tim Cook. That easily edged out No 2. former president Bill Clinton, who commanded $225,000. "More and more folks from the world of technology are getting that superstar status," said Holzman, the Charitybuzz CEO. "People like Tim Cook and Marissa Mayer absolutely have that star power." Other techies currently running auctions on Charitybuzz include venture capitalist Dave McClure, Facebook (FB) Chief Information Officer Tim Campos and PayPal (EBAY) co-founder Max Levchin.